I want to take a dive into the most passionately debated issue of a correction in Canadian real estate and the impact on Canadian banks. The general consensus is that over the long-term home prices will continue to rise and the risks directly to the banks are limited as mortgage default risk predominantly sit with the mortgage insurance issuers like the CMHC and private insurers like Genworth. Erik: And I guess a particular question that’s on my mind is in the US nobody was immune because almost everybody had exposure to the paper if not to the real estate. If I think about the big Canadian banks – like the Royal Bank of Canada, which was famously immune to problems in the 2008 crisis when the rest of the world was going through a lot of trouble – are they exposed to this? Or is it just mortgage lenders in Canada? Where’s the risk, where are the shorts, where is the investment trade here? Josh: I think the reality here is a little bit different. 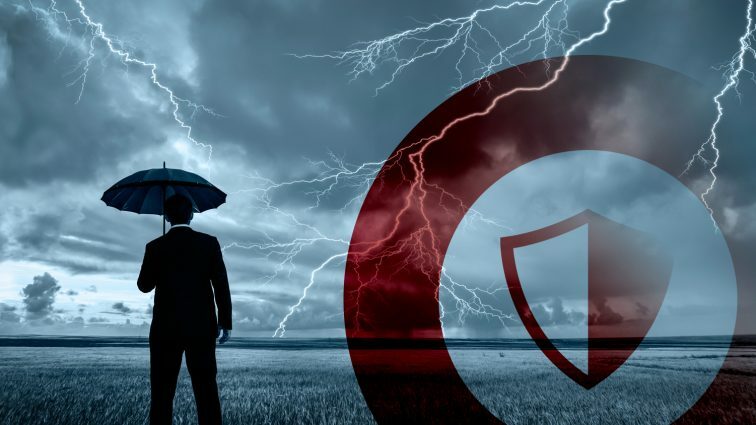 I don’t think you have this ticking time bomb in the form of exotic CDOs, CDO-squared products, lacing the balance sheet across the entire banking system. So, think about what I said earlier, which is that when home prices are appreciating rapidly you have all-time lows in delinquencies. That’s an absolute function. It’s like the economic equivalent of a physical law, like gravity. When prices are appreciating rapidly, and an asset class is inflating, naturally you’re going to have very low delinquency rates. And that’s exactly what the rear view of the last 12–18–24 months looks like across the big Canadian banks. Kind of like what I was saying about the housing system, where you can have this collective mindset undergo this phase transition of thinking i.e. one day I think of housing as a consumption good (I need somewhere to live), and the next day I think of it as an investment good. All my friends and family made all this money on real estate, I should be there too. Then all of a sudden, the bottom falls out and now it’s back to being a consumption good. And the way I frame it up is that it won’t take much of a property correction for earnings power to be largely impaired for the banks across Canada. In that scenario you can undergo this pretty rapid phase transition from trading from an earnings multiple to suddenly, well, what are the earnings? The earnings are shrinking. Are the earnings potentially going to go negative for a period of time? Therefore, I trade to tangible. And that equates to 50%–60% downside for most of these banks. So, you don’t need, necessarily, this gigantic powder keg of CDO exposure to catalyze a significant amount of downside when you’re trading at pretty high multiples. Whether you agree with Josh, there is no denying some basic facts. 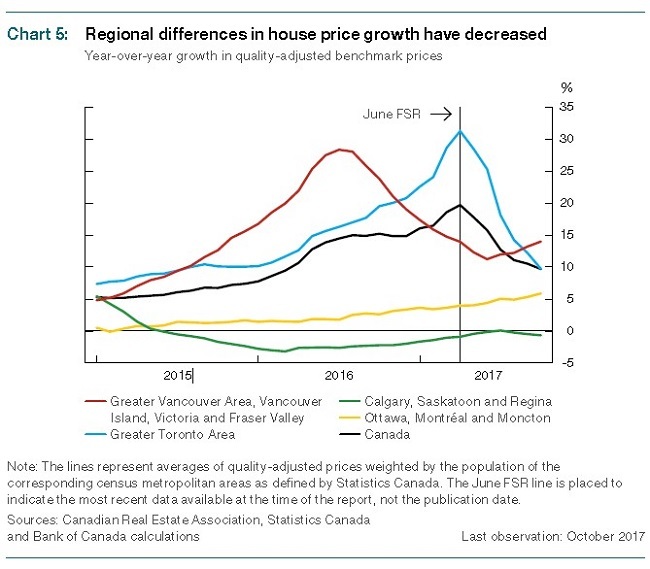 First, broader Canadian real estate peaked in April of 2017. Some markets have already seen 20+% corrections from peak prices. At some point, the Canadian banks are going to start reflecting lower new mortgage origination and increased delinquencies. While I do agree with most optimists, that this will likely not lead to a banking failure in Canada, but what if it does have a material drag on earnings, that gives investors uncertainty. Under those conditions, could we see banks trade toward tangible book value? I for one am unwilling to rule that out as a risk. So, what can a Canadian investor with a large investment in Canadian banks do? Obviously, if an investor is overweight in Canadian banks, one can simply rebalance their investment portfolios to have a more equal to underweight exposure. The obstacle for many are considerations like capital gain taxes and interruptions in a stream of dividends if the stocks are not replaced. This is where an investor can learn to utilize put options to hedge outlier risk. I think most long-term investors would agree that the stock fluctuating 10% higher and lower is just noise. The real risk is in a bear market style decline where the stock’s decline more than 20%. For this example, we will use Royal Bank (TSX:RY). The question we can ask, how can we create a “near-zero cost” collar to remove all downside risk below 10% further loss. This hedge wrap allows the long-term investor to remain invested, continue collecting dividends and have no tax disposition. At the same time, the investor has room for the stock to return back toward its year highs and removing all downside risk below $90.00 or about 10% lower than where the stock is currently trading. For investors that want to own their banks for the long term but yet see validity for short term concerns, this collar strategy offers an alternative to just selling the shares outright. In a future blog, I will explore the action points for managing a collar after you have put it on.